Dr. Steven E. Brooks is a national leader in the field of strabismus, pediatric ophthalmology and retinopathy of prematurity (ROP). An excellent clinician and physician scientist, he has made a number of important contributions to the field, including his work on fat adherence syndrome and his description of a new modification for muscle transposition surgery in the field of strabismus, as well as his research on the mechanisms of retinal vascularization in retinopathy of prematurity. 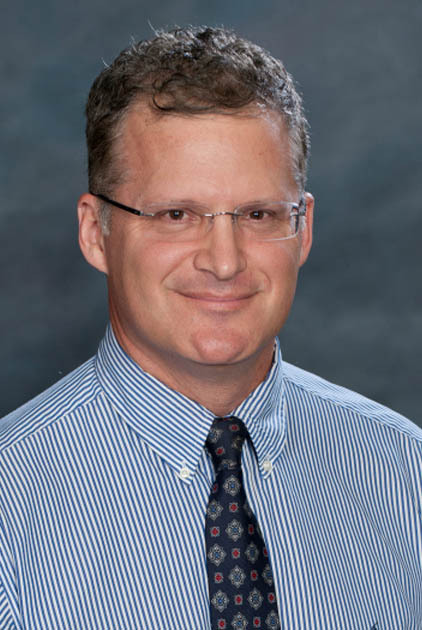 Dr. Brooks received his undergraduate degree from Dartmouth College and his medical degree from Johns Hopkins. He completed his ophthalmology residency at the University of Southern California-Los Angeles County Medical Center and a pediatric ophthalmology fellowship at the University of Michigan W. K. Kellogg Eye Center. ProVision III Committee for Pediatric Ophthalmology and Strabismus (a subcommittee of the American Academy of Ophthalmology's Committee for Continuing Education, 1996-97). Program Committee, Georgia Society of Ophthalmology (6/97-6/00). Council Member, Georgia Society of Ophthalmology (6/98-6/01). Associate Examiner for American Board of Ophthalmology oral examination (5/97). Public Information Committee, American Academy of Pediatric Ophthalmology and Strabismus (4/00-4/01). Faculty, USA Boxing Ringside physician certification course, Colorado Springs, CO, 2004-2005. Director of Pediatric Ophthalmology and Strabismus at the Medical College of Georgia (9/94-present). -Responsible for directing clinical service and resident teaching in pediatric ophthalmology and adult strabismus. Initiated and directed construction of off-campus satellite office for pediatric ophthalmology. Recruited second pediatric ophthalmologist to faculty, 8/99. Residency Program Director, MCG Department of Ophthalmology (6/98-11/99). Board of Trustees, Physicians Practice Group (general membership trustee, 7/99-present). -Elected position. Major executive board for physician practice group. MCG Committee on Animal Use in Research and Education (7/96-present). -Responsible for review of 1-2 animal research protocols/month. MCG Physicians Practice Group Ways and Means Committee (8/96-7/99). -Responsible for overseeing of PPG budget and investments. MCG Physicians Practice Group Committee on Managed/Contracted Care (11/97-7/99). -Responsible for review of all managed care contracts, advisory to PPG Board of Trustees and President. MCG Physicians Practice Group Ad Hoc Committee on Departmental Reserves (6/98-10/98). Advisory Board, Reading Success, Inc., Martinez, GA (1/02-1/03). Medical Executive Committee, Augusta Surgical Center (7/08-present).